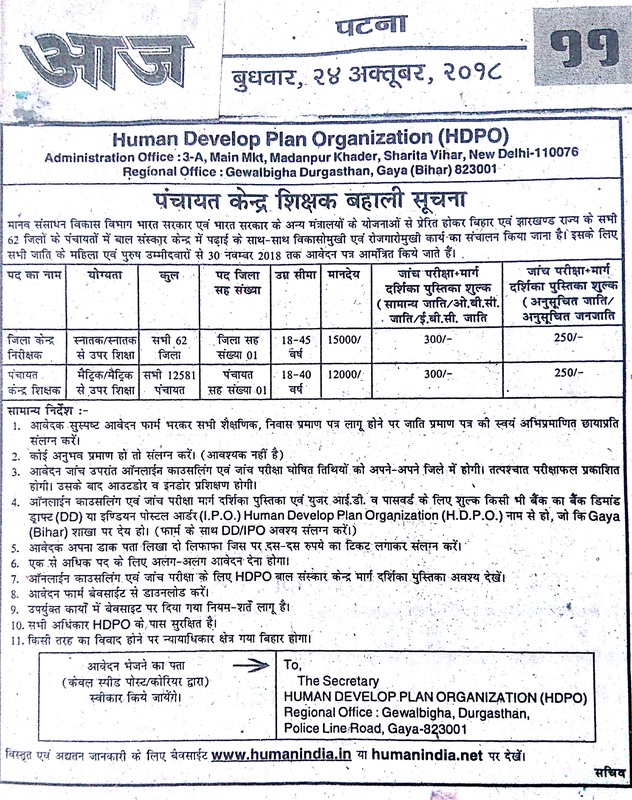 The Human develop plan organization (HDPO) activities are conducted in the overall context of development and implementation of a Strategic Plan in different areas like Bihar, Jharkhand, Uttar Pradesh, Orissa, West Bengal. We visualize a healthy society where children, women and disadvantaged people such as poorest among the poor, literacy, handicapped, drug-de-addiction, naturopathy, homeopathy, people in remotest inaccessible villages, especially in upper hills, get equal opportunity to grow and exercise their rights in terms of having better access on all essential services, particularly health care and sustainable development. Strategic planning, including customizing planning process, identification and/or clarification of all critical issues and specific strategies to address each issue, resulting in a realistic and flexible Strategic Plan. This organization conducted the many activities like vocational training on Embroidery for self employment for women and also conducted some cultural shows,health & family welfare programme. We have also undertaken environmental, plantaion, rural development and agricultural activities for the villagers. 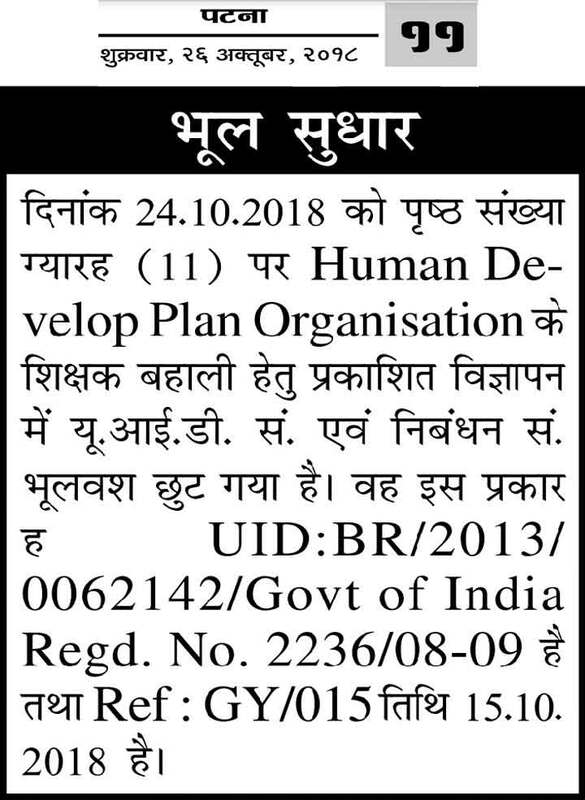 Human develop plan organization (HDPO) conducted the animal welfare programme in this we have one thousand beneficiaries who directly benefitted. Like, national festival celebration programme. Socio-Economic research & development strategies. Funding collaboration & networking programme. Management discussion & analysis report. One of the programme is coming soon that is Baal shanskar vidhayle.